The Toughest Martial Art on Earth | Robert Mitchell Jr. Sometimes I get disheartened because Cabal Fang isn’t popular. I try to set a good example but despite myself I get bummed and whiny from time to time. That happened the other day and I bent my wife’s ear a little. “Promise me you won’t change anything,” she said. “Promise.” This time it was less of a request and more of a direct order. 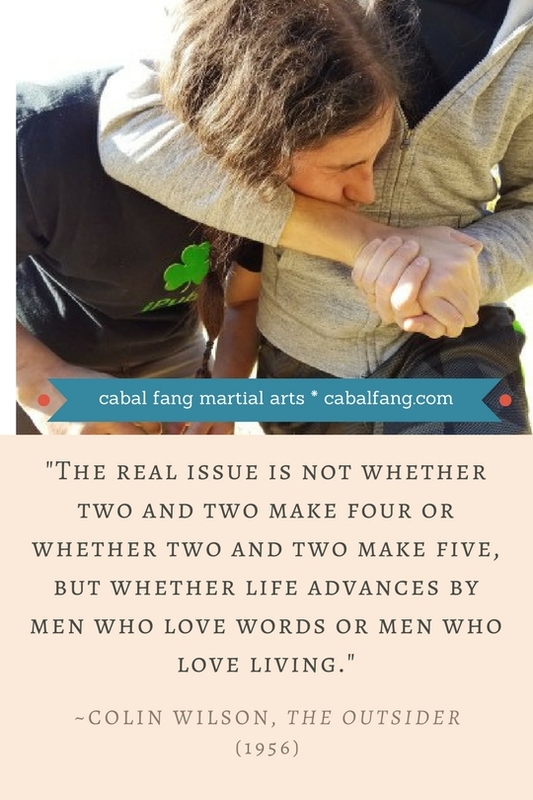 My wife said that because, although she’s never practiced Cabal Fang or any other martial art, she understands that Cabal Fang is an art. You don’t change the Mona Lisa because numbered prints aren’t selling fast enough on Home Shopping Network. There’s nothing wrong with Cabal Fang and nothing needs to be changed. It’s never going to be popular because we have no rewards like uniforms, belts, certificates, trophies or competitions. We train outdoors year round, contending with extreme temperatures, bad weather and bugs. We’ve added rigorous spiritual and intellectual requirements like introspection, journaling and memorization. And our strict martial fitness regimen is no joke. Cabal Fang may be the toughest martial art on Earth. Maybe you’re unimpressed, or maybe that scares the pants off you. Don’t know, don’t care. All I care about is that Cabal Fang remains true to its goals and ideals, and that it helps transform those who are inspired enough take the leap. Email me at first.elder@cabalfang.com and let’s start your training. Cabal Fang Temple, Inc. is a federally recognized tax exempt public educational charity, and all our programs are free, including our study-at-home program. This entry was posted in Martial arts and tagged cabal fang. Bookmark the permalink.